Atlanta Conference Photographer, Atlanta Convention and Trade Show Photography by Robb Cohen Photography & Video takes group photos and detailed exhibitor booth photos of the National Association of Broadcasters (NAB) Show 2019. This portrait photo shoot and booth shoot took place at the Las Vegas Convention Center in Las Vegas, NV on April 6-11, 2019. This is Robb Cohen Photography & Video seventh consecutive year shooting for the NAB Show. Robb also specializes as a Convention Photographer, Videographer, Portrait Photographer, On-Site Corporate Headshots and produces Trade Show Promotional Videos. The National Association of Broadcasters is the voice for the nation's radio and television broadcasters. As the premier trade association for broadcasters, NAB advances the interests of our members in federal government, industry and public affairs; improves the quality and profitability of broadcasting; encourages content and technology innovation; and spotlights the important and unique ways stations serve their communities. See NAB Crowded Booths and TESOL for more events you might enjoy. Atlanta Convention Photographer, Atlanta Trade Show and Conference Photography by Robb Cohen Photography & Video takes empty exhibitor booth photos of the National Association of Broadcasters (NAB) Show 2019. This convention booth photo shoot took place at the Las Vegas Convention Center in Las Vegas, NV on April 6-11, 2019. This is Robb Cohen Photography & Video seventh consecutive year shooting for the NAB Show. Robb also specializes as a Trade Show Photographer, Videographer, Green Screen Photographer, On-Site Corporate Headshots and produces Event Promotional Videos. The National Association of Broadcasters is the voice for the nation's radio and television broadcasters. As the premier trade association for broadcasters, NAB advances the interests of our members in federal government, industry and public affairs; improves the quality and profitability of broadcasting; encourages content and technology innovation; and spotlights the important and unique ways stations serve their communities. See SECO and TESOL for more events you might enjoy. Atlanta Entertainment and Concert Photographer, Atlanta Convention, Trade Show and Conference Photography by Robb Cohen Photography & Video takes concert photos of Muse and opener Walk the Moon. Muse and Walk the Moon performed at State Farm Arena on March 26, 2019 in Atlanta, GA. Robb Cohen Photography & Video was shooting for the Associated Press, Atlanta Journal-Constitution, AJC.com and Access Atlanta. Robb also specializes as a Green Screen Photographer, Convention Photographer, Videographer, Trade Show Photographer, On-Site Portrait Photography and produces Event, Promotional and Trade Show Videos. See George Strait and Kelly Clarkson for more concerts you might enjoy. Atlanta Convention Photographer, Atlanta Conference and Trade Show Photography by Robb Cohen Photography & Video takes headshot photos at the Teachers of English to Speakers of Other Languages (TESOL) 2019 International Convention & English Language Expo. This corporate headshot photo shoot took place at the at the Georgia World Congress Center in Atlanta, GA on March 13-15, 2019. 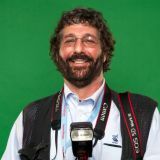 Robb also specializes as a Trade Show Photographer, On-Site Corporate Green Screen Photographer and produces Trade Show and Corporate Event Promotional Videos. TESOL International Convention & English Language Expo is the largest professional development event in the TESOL field. The convention offers professional development opportunities to English language educators at all levels from around the world. In lively interactive sessions, educators develop a global perspective through the exchange of ideas and practices. Participants integrate knowledge of current trends in the field while developing a professional network. See SECO and HAI Heli Expo Fly-Ins for more events you might enjoy. Atlanta Concert and Entertainment Photographer, Atlanta Conference, Trade Show and Convention Photography by Robb Cohen Photography & Video takes entertainment photos of American Idol champion Kelly Clarkson. Kelly Clarkson performed at the Infinite Energy Aren on March 28, 2019 in Atlanta, GA. Robb Cohen Photography & Video was shooting for the Atlanta Journal-Constitution, AJC.com and Access Atlanta. Robb also specializes as a Corporate Event Photographer, Portrait Photography, Videographer, Trade Show Photographer, On-Site Green Screen Photography and produces Event, Promotional and Corporate Videos. See George Strait and Post Malone for more concerts you might enjoy. Atlanta Trade Show Photographer, Atlanta Conference and Convention Photography by Robb Cohen Photography & Video takes event and portraits of the Thomas P. Hinman Dental Meeting 2019. This corporate event photo shoot took place at the Georgia World Congress Center, Mercedes-Benz Stadium and Georgia Aquarium in Atlanta, GA on March 21-22, 2019. This is Robb Cohen Photography & Video ninth consecutive year shooting for Hinman Dental Meeting. Robb also specializes as a Trade Show Photographer, Green Screen Photographer, On-Site Corporate Headshots and produces Corporate and Convention Promotional Videos. The first Hinman meeting was held in 1911 by Dr. Thomas P. Hinman and was considered to be the first clinic strictly for serious-minded educational purposes. Dr. Hinman believed strongly in the individual's contribution to dentistry. The program addresses the needs of the general dentists, specialists, hygienists, assistants, front office staff and students. See ABM Franchising and HAI Heli Expo for more events you might enjoy. Atlanta Entertainment and Concert Photographer, Atlanta Convention, Conference and Trade Show Photography by Robb Cohen Photography & Video takes concert photos of George Strait and Chris Stapleton. George Strait and Chris Stapleton performed at Mercedes-Benz Stadium on March 30, 2019 in Atlanta, GA. Robb Cohen Photography & Video was shooting for the Associated Press, Atlanta Journal-Constitution, AJC.com and Access Atlanta. Robb also specializes as a Convention Photographer, Event Videographer, Trade Show Photographer, On-Site Portrait Photographer and Portrait Photographer and produces Event, Promotional and Trade Show Videos. See Aerosmith and Post Malone for more concerts you might enjoy. Atlanta Conference Photographer, Atlanta Convention and Trade Show Photography by Robb Cohen Photography & Video takes event photos of the Akamai Security Summit 2018. This event photo shoot took place at Topgolf in Atlanta, GA on December 11, 2018. Robb also specializes as a Concert Photographer, Portrait Photographer, On-Site Corporate Headshots, Trade Show and Green Screen, and produces Trade Show and Convention Promotional Videos. Akamai Security extends existing cloud solutions to deliver superior user experiences that are instantaneous, rich, and create lasting business value. See Hinman and HAI Heli Expo for more events you might enjoy. Atlanta Convention Photographer, Atlanta Conference and Trade Show Photography by Robb Cohen Photography & Video takes corporate event photos of the Helicopter Association International (HAI) HELI-EXPO 2019 Convention. This corporate event photo shoot took place at the at the Georgia World Congress Center in Atlanta, GA on February 28-March 7, 2019. Robb also specializes as an On-Site Corporate Headshots, Portrait Photographer, Trade Show and Event, and produces Corporate and Conference Promotional Videos. For more than 70 years, HAI has provided support, services and set the industry safety guidelines for the international helicopter community. See ABM Franchising and Global Payments for more events you might enjoy. Atlanta Trade Show Photographer, Atlanta Conference and Convention Photography by Robb Cohen Photography & Video takes event and award photos of the Southern Council of Optometrists (SECO) International Convention 2019. This corporate event photo shoot took place at the at the Ernest N. Morial Convention Center in New Orleans, LA on February 20-24, 2019. This is Robb Cohen Photography & Video fourteenth consecutive year shooting for SECO International. Robb also specializes as a Green Screen Photographer, On-Site Corporate Headshots, Trade Show and Head Shots, and produces Trade Show and Convention Promotional Videos. SECO International, headquartered in Atlanta, Georgia, is a not-for-profit membership association founded in 1923, and counts as its members practitioners in the 12 southeastern states of Alabama, Arkansas, Florida, Georgia, Kentucky, Louisiana, Mississippi, North Carolina, South Carolina, Tennessee, Virginia and West Virginia. See ABM Franchising and HAI Heli Expo Fly-Ins for more events you might enjoy. Atlanta Conference Photographer, Atlanta Convention and Trade Show Photography by Robb Cohen Photography & Video takes event photos of the Helicopter Association International (HAI) HELI-EXPO 2019 fly-ins. This event photo shoot took place at the at the Georgia World Congress Center in Atlanta, GA on February 28-March 2, 2019. Robb also specializes as a Portrait Photographer, On-Site Corporate Headshots, Trade Show and Green Screen, and produces Trade Show and Corporate Event Promotional Videos.